I would like to invite you to the Toastmasters event of the season! District 42 Speech Champion, Russ Dantu is off to compete in the World Speaking Finals. On July 25, we are Launching Russ to Chicago with an evening of education and entertainment. 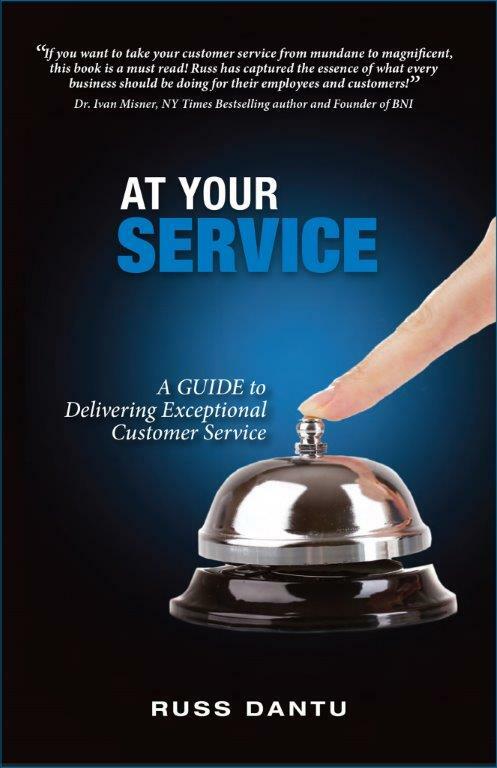 We begin by giving you a free autographed copy of Russ’s new book, At Your Service. If you’ve already supported Russ by buying his book, no problem. Russ is offering a “Trade-In Table” where you can trade in your book for one of Russ’s other wonderful products. We’ll have a wine and cheese networking event. Your first glass of wine is free. More may be purchased with proceeds going to the fundraiser. Meet new people and old friends as we mingle before the show. Then we gather in the historic and beautiful Hillhurst United Church (Kensington) sanctuary for entertainment by some of your favourite Toastmasters and friends. Former District 42 International Speech competitor, Chuck Rose will entertain us with his gift of song. Former District 42 International Speech Champion, Darlene Davies will show us (and Russ) how it’s done! For all those who’ve wondered “what the heck is Cowboy Poetry anyway?” Shelley Goldbeck will be sharing from her repertoire of original poetry and music. 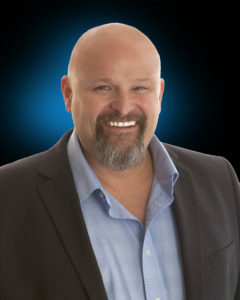 And of course, you’ll get to hear Russ Dantu, himself, as he delivers his two competition speeches. If that’s not enough, we get to be amazed at the talents of mentalist, Greg T, our headliner, who uses, human psychology, illusion and intuition to dazzle his audiences. Proceeds from the fundraiser will go towards assisting Russ with his expenses. If we reach our goal, in the spirit of Toastmasters uplifting each other, we plan to donate to the District 99 candidate’s fund. We also hope to leave a legacy account for future District Speech Contest winners. It seems ambitious, I know, but if you’re willing to take your favourite person out for a summer evening of entertainment, education and enchantment, we’ll meet our goals. Summer is short and we realize folks are vacationing and busy with family. If you can’t make it, please extend this invitation to someone who might enjoy a night on the town. 3. Become an event sponsor. Call Shelley Goldbeck @ 403.606.1379 for details. This entry was posted in Blog and tagged At Your Service, Chicago, Chuck Rose, Darlene Davies, fundraiser, Greg T, Mentalist, Palmo Carpino, Rowena Carlson, Russ Dantu, Shelley Goldbeck, Toastmasters, World Speaking Finals on July 15, 2018 by Shelley Goldbeck. I am pleased to announce that my CD Buffalo Beans and Bluebells is now available for purchase online. My first CD of poetry and music is dedicated to my parents, ERNIE and ILENE GOLDBECK, who celebrated their 60th Wedding Anniversary, November 26, 2017. 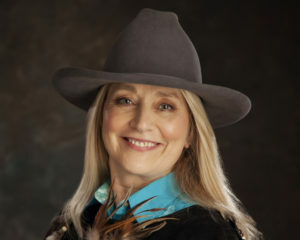 If it weren’t for their raising me on a farm with horses, I would never have paid any attention to Cowboy Poetry and none of these poems or songs would have occurred to me. The CD has six original poems, including Old Cowboy and Old Dog, a true story about my dad, the old cowboy, and how his dog outsmarted him. The poem, Ilene on Her, is about my mom’s dedication to my dad and their farm. Not Enough is about the cost of putting steak on the plate and Leaving the Family Farm is about retiring. Rusty and the Petunias is about a horse our family had when I was young. A fan favourite is Cowboy Cathedral about finding God in nature. There are three original songs, Shut the Gate, Carousel Lullaby, and the title track, Buffalo Beans and Bluebells. There are also two parodies, Cowman’s Sweetheart (of Patsy Montana’s I want to Be a Cowboy’s Sweetheart) and Up on the Hoof (Up on the Roof, as made famous by the Drifters). It also includes a cover, Wayward Wind, my dad’s favourite song. It’s scary to share my work with the world. If you buy my CD, I’d really like to hear what you think of it. Click here to buy on iTunes.Click here to buy on Amazon. It’s also available on other music services if you prefer to buy through those. Click here so see the lyrics. 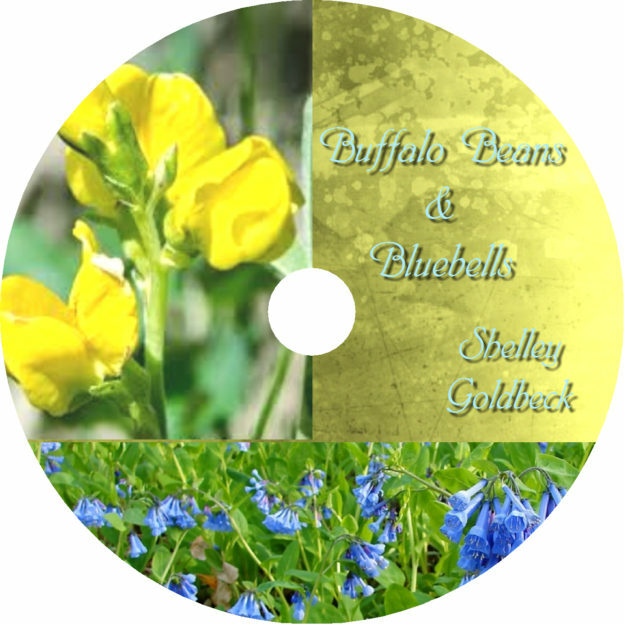 This entry was posted in Blog and tagged Amazon, Buffalo Beans and Bluebells, CD, Ernie and Ilene Goldbeck, iTunes, music on March 6, 2018 by Shelley Goldbeck.